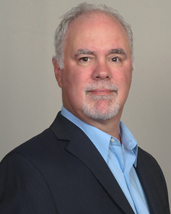 Steve is an industry veteran with over 25 years of experience ranging from underwriting to operations. He brings his vast knowledge of underwriting guidelines to your transaction and prides himself on the ability to quickly prequalify your application. He is well versed in all loan programs and will work diligently to find the best program to fit your needs and goals. Steve has been recognized by industry peers for his excellent leadership and customer service. His extensive background and customer centric approach is the perfect fit to make the home buying or refinancing experience not only easy but quick, his goal is to meet all expectations and timelines. Steve is a Chicago native who enjoys golf and the outdoors. He is married and currently resides in Elmhurst with his loyal dog.